Eighty dogs and twenty-seven cats wanted us to remind you that last week, thanks to your fostering, boarding, transporting, caregiving, and donating your money, time, and services, they are alive and finding new homes in Colorado! They thank you very much, and so do we. Yes, we are aware of the KHOU news story that aired last night and this morning. Yes, we are disheartened by the slanted journalism and blatantly false information. Yes, we are saddened by those who have worked with us who immediately believe perception is reality and think we are sending Houston pets up to Colorado only to be killed there and that instead of helping the overall homeless animal problem, we are doing nothing more than “shifting bodies.” And, yes, believe it not, the information you are hearing on the news and spouted by completely uninformed people about RPM is false. In all fairness, for those of you who have not seen the news clip, please click here. Laura spent over an hour and a half yesterday with a KHOU news reporter, openly sharing tons of information about our program, lauding the importance of spaying and neutering, and explaining that we are merely a stopgap to save the animals that are already alive and set to die in our shelters. Call Laura terribly naïve, but she walked away believing it was a very positive interview. Laura’s internal thought process: Whaaaa??? Is she for real? I told our producers repeatedly that NO ONE was claiming Houston animals have been killed in Colorado. The on screen line got by me because reporters are not responsible for that. I thought our producers understood. I will ask our web team to remove the story from KHOU.com. Our connections with Colorado groups. Let us first tell you that the Colorado community is furious by the news story and have told us in no uncertain terms that No Kill Colorado is considered a “fringe group”-as we are quickly learning is the same for No Kill Houston here. Indeed, Laura gave the reporter the names of several of the groups we work with so she could contact them and create a well-rounded story regarding the state of things in Colorado, but she obviously chose not to do so. People keep asking for “facts,” but to be honest, that seems to mean “facts they want to hear”-whether accurate or not. It is impossible to argue stats, because there are so many factors that go into why a particular shelter may have a higher euthanasia rate than another-some shelters refuse to work with rescue groups, many of the dogs have serious behavioral problems and are not adoptable, some are sick. But the groups we work with all have a save rate of greater than 95% and many have 100% save rates. 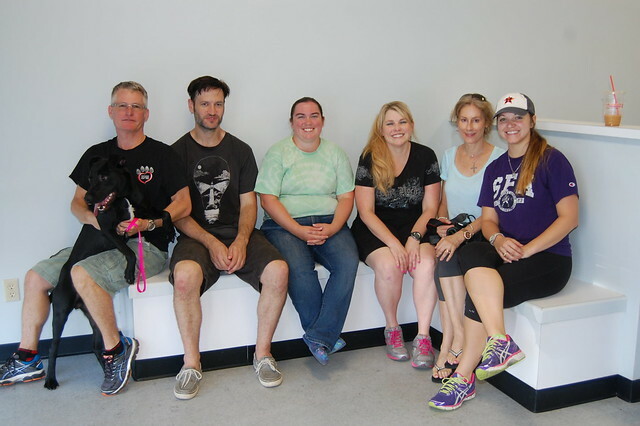 Many foster parents who have worked with us will attest to the fact that these pets are going to reputable groups, and many of them have been able to keep up with their former foster pets once they reach Colorado. But this is not possible for every pet we save. We have VERY close relationships with the groups in Colorado with whom we work. Very close. We correspond with them no less than 15 times a day. RPM has an agreement with each partner rescue that we will take any animal back at any time for any reason, which we have always done. If one of our pets goes up there, and an issue arises, we are contacted. It is interesting that the news story quoted only groups that engage in nothing more than rhetoric. 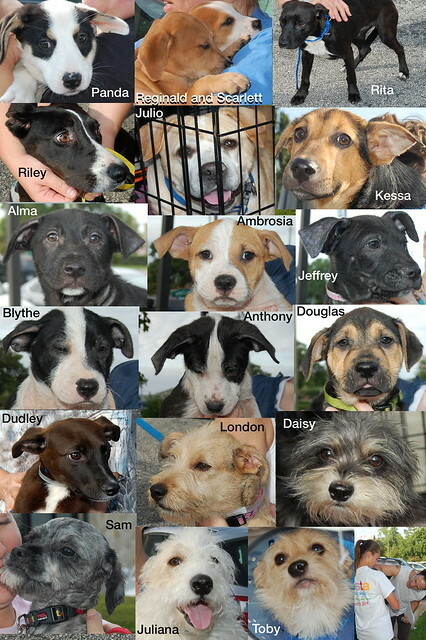 No Kill Houston has not saved one single dog from BARC. In fact, we are not sure what they do except disparage other groups from behind a keyboard. That’s the real problem folks, it’s so easy to sit on the sidelines and criticize others when you have no idea what’s involved. People want results, but don’t want to get their hands dirty (or clean up poop for that matter). For the record, almost every day, Houston shelters get dogs and cats in from people who adopted the pet from a local Houston rescue group. 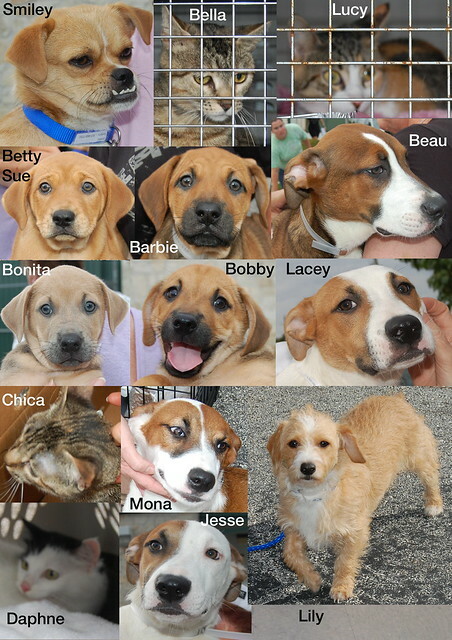 We find it appalling that Houston groups are acting like the adoptions they do here are perfect. They are not telling you the truth. Adoptions are always filled with returns, and in some cases, dogs and cats end up at a shelter. In the 8 years we worked with Scout’s Honor Rescue (a local rescue WE founded and WE chose to leave because of what we believed were bad decisions being made about the dogs in its program), we had a number of animals turned into CAP, Houston Humane Society, and other shelters by adopters. 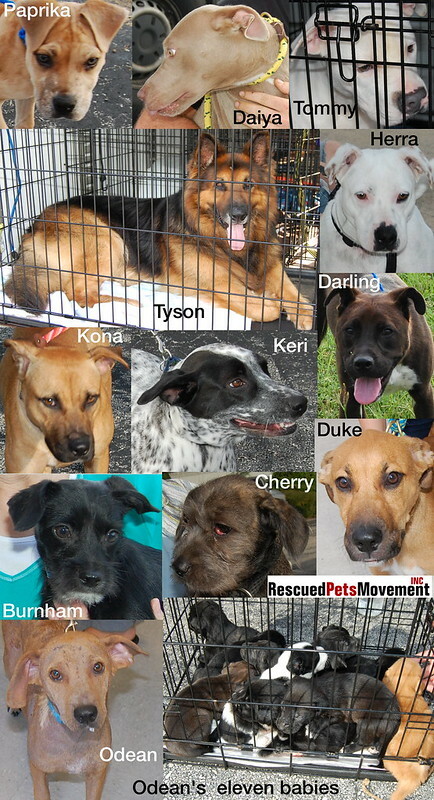 We also had several dogs get loose from their homes and end up at BARC. And that is still happening. Let’s be real-any time you deal with people and animals, there is always a chance that things can go wrong. Furthermore, Houston has its own fair share of rescues that are not reputable (which is always found out AFTER they have received dogs). There is no oversight here like there is in Colorado: no home visits, no unannounced inspections, no record audits, and no fines for not having their rescues timely spayed and neutered. From our 50 collective years in the Houston traditional rescue world, we can tell you many of the rescues here would never pass a PACFA certification and licensing. If you take these arguments to their logical (or actually, illogical) conclusion-Are we supposed to kill all of the animals that end up in shelters because we cannot guarantee their safety? Sorry, but that is insane and downright stupid. There are some Houston area shelters with kill rates over 90%, and we bet if we ask the dogs and cats what they prefer, they would rather be in a shelter in another state with a 90% save rate. Wouldn’t you want that for your own animal if, Heaven forbid, your yard guy accidentally left your back gate open and your beloved pet got out? The reality is that spaying and neutering will absolutely help the overpopulation problem in Houston. But saving all of Houston’s animals requires a multi-pronged approach. For those, like No Kill Houston, who say all money should be on spaying and neutering, they must also make the argument that the animals in the shelter TODAY do not matter. That they must be sacrificed for the future. We refuse to accept this line of reasoning. 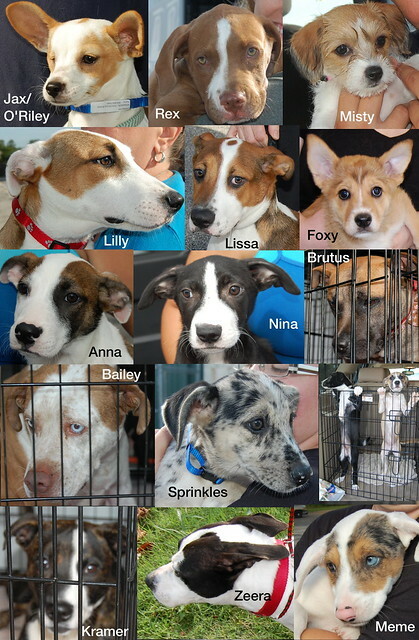 These little lives DO matter, and they deserve a chance that they will NOT get in Houston. Spaying and neutering will take time-by some models, 20-30 years. In the meantime, there are animals that need help TODAY. The money from the City. 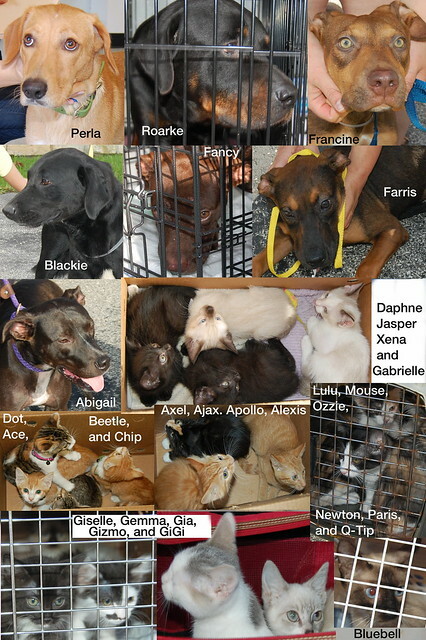 Yes, BARC wants this program to survive for the benefit of Houston animals. It is transformative for Houston. $265,000 has been approved to help fund transport programs (not just RPM). 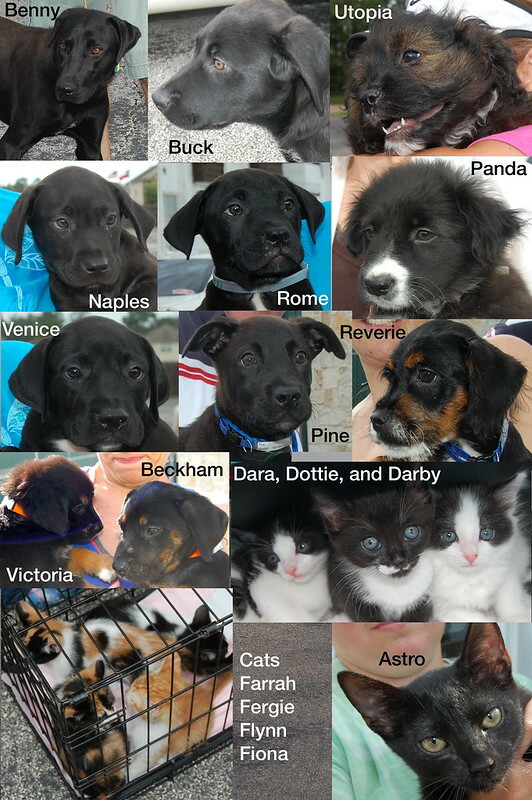 RPM will receive $75 per pet we save from BARC. Considering our average cost per pet is $220, the funds are not a windfall for RPM, and we will still have to bust our butts for funding to stay afloat. One comment I heard is that someone could charge the City only $10 per pet. His plan? 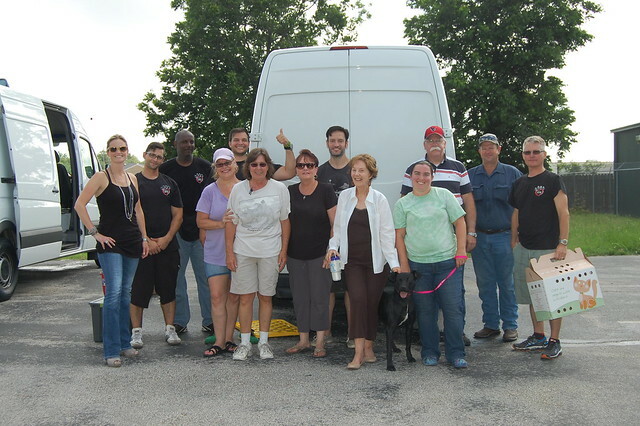 Load up a huge air-conditioned tractor trailer with hundreds of pets and drive them to Colorado. Our initial questions for him are: Who is going to walk and feed the hundreds of pets during the trip? Does his $10 include the cost of fostering each pet for two weeks to ensure they are healthy to travel? Oh, and what about the cost of vetting each pet who comes down with Parvo during that time, amputating a leg, removing a damaged eye, or having surgery on an infected mammary gland? And let’s talk about the large semi that has the pets separated from the driver so that he would be unaware if a problem arises during transport or the relief driver cannot go immediately back to a kennel and change a soiled puppy pad? No. The BARC fairy did not buy it for us. Indeed, to help finance the building and build-out costs, one of RPM’s board members has put his own home on the line as additional collateral. We personally financed the remainder of the cost. We are responsible for paying the note. The building is actually what is going to keep RPM running. We can no longer afford the vet bills for all of the pets we save. We ran the numbers, and our estimate is our operational costs will be cut in HALF once the clinic is up and running. The alternative is to do nothing. The alternative is to say these animals are better off dead because there is a chance, no matter how small, that they might end up back at a shelter, that the home you or I choose may not be perfect, that the rescue we send pets to might get in over its head. So let’s just throw in the towel. WE REFUSE TO DO THAT–while jealousy and insecurity are driving much of the controversy, we at RPM will continue to fight for these forgotten animals while others sit on the sidelines, criticize us, and ultimately DO NOTHING. We know this is trite, but can’t we all just get along? RPM has tried very hard to turn the other cheek and not engage other groups in Houston who are disparaging us. Well, we need to respond. 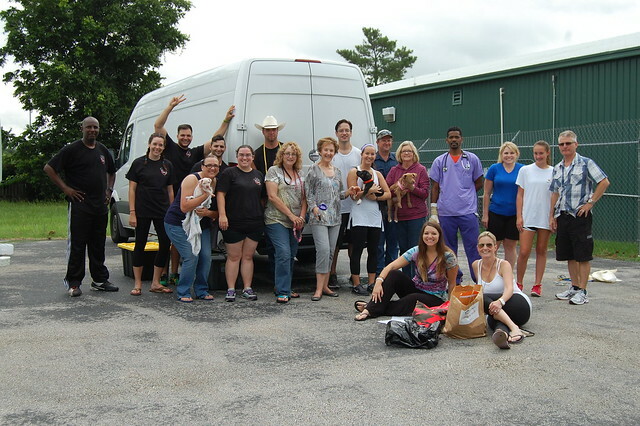 But first, we want to say that there are MANY traditional rescue groups in Houston who are doing wonderful work and saving countless animals from euthanasia. Organizations like HPPL, Red Collar Rescue, Pup Squad, SNAP, Friends for Life, and ADORE, to name just a few. As for the groups that choose to criticize RPM without any knowledge of what we do, we recommend that you ask these groups how many and for how long their rescue dogs have been locked away in boarding. You might be shocked to know that it can be years. Yes, years. These groups argue that it is far better for a dog to live its entire life in a kennel than go to another rescue in another state where there is a small chance that the pet may end up in a no-kill shelter. Specifically, much has been made by Scout’s Honor Rescue about a dog that was part of a transfer program who was later turned into a shelter in Colorado. Fact-Scout’s Honor did not bother to contact the rescue group responsible for saving the dog’s life in the first place or give them a chance to get the dog, nor did they contact anyone at RPM to help the dog who had been placed by RPM officers, which would have been the right thing to do. Rather, Scout’s Honor decided to use this one occurrence as a reason to attack RPM. Scout’s Honor continues to reference something that happens every day here in Houston (including to them) to create negative and uninformed press about RPM. Moreover, let’s add some clarity to Scout’s Honor’s statement that it chose to “distance ourselves from this endeavor after we could not get answers.” The fact is that when all the original founders of Scout’s Honor left to form RPM (that might tell you something), Scout’s Honor did not have the knowledge or expertise to do a transport program. And while Scout’s Honor money “funded” that program, the money came from donors who earmarked their donations for the transport program because they specifically wanted to see the program survive. The truth is Houston is never going to get very far in helping change the kill rate as long as “rescuers” care more about their ego and being right than they do about saving animals. RPM is very proud of its partnerships with local groups like Red Collar, HPPL, and ADORE. We know that by joining hands and working together, we will accomplish so much more than we can individually, and certainly far more than if we are attacking each other. Ask yourself if you really want to be a part of a “rescue” that preaches intolerance and attacks other groups who are also trying to save Houston pets. Cute puppies and supply and demand. Cindy was in traditional Houston rescue for 10 years before moving to New Mexico and discovering the transport program. When Cindy first moved back to Houston and joined the BARC Aid email list, she was struck by all of the puppies on the euthanasia list. She thought, like most of us and the general public, that rescue groups were lining up to rescue all of these darling puppies. But the stark, very real truth is that they were all dying. Every. Single. Day. 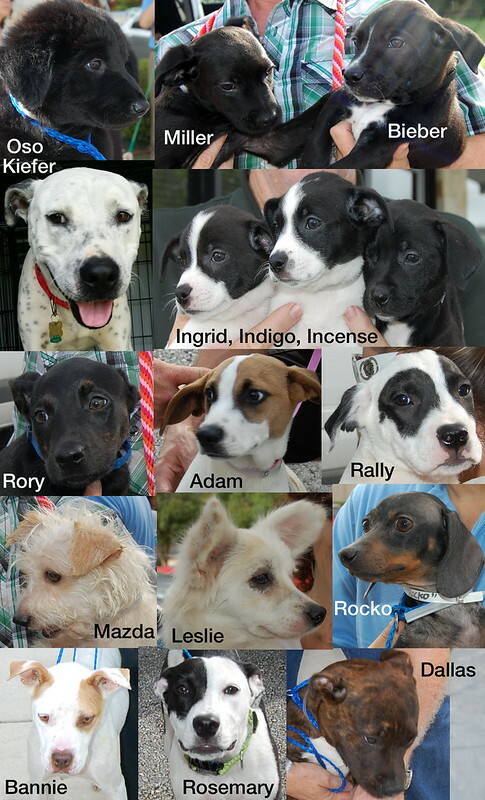 Indeed, 68% of the animals that enter BARC are puppies. 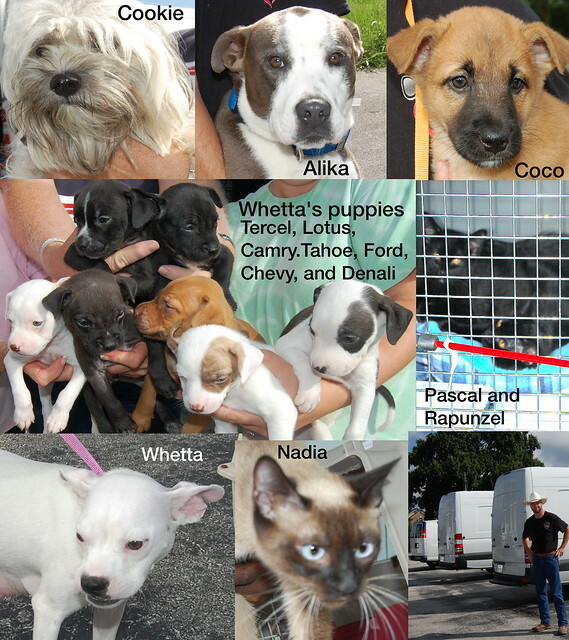 Yes, all the little precious puppies and kittens you see on our website were ending up in your landfill. That is the reality. And it is a reality that HAS to change. 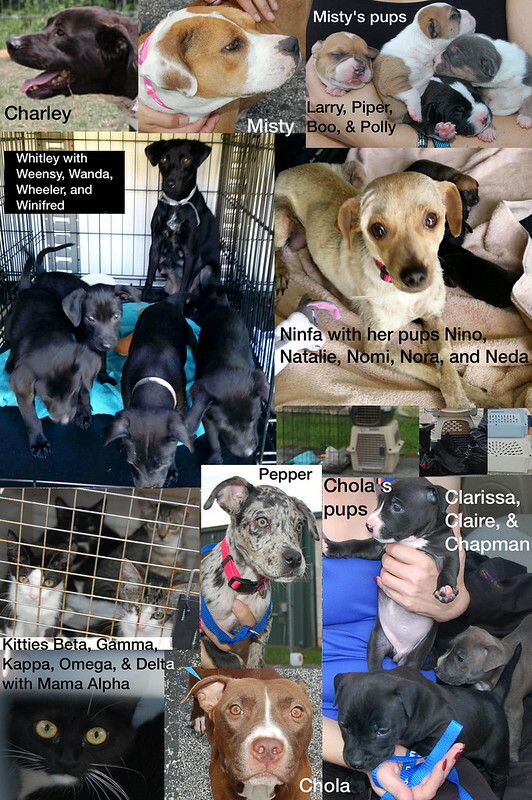 Change is possible because other parts of the country WANT these puppies and kittens. It’s simple supply and demand. The smart people get it. No Kill Houston, Scout’s Honor Rescue, and others out there are essentially arguing that we should go back to the old days-that these little lives are better off in the landfill and dead than having a chance. If you agree with them, then Rescued Pets Movement is absolutely not the group for you. Period. But if you are like us and say having so many young, adoptable dogs and kittens die in my town is NOT acceptable and is frankly INEXCUSABLE; if you will not accept the status quo or the arguments of those standing on the sidelines, then stick with us. Animal rescue is messy-we are dealing with real lives and humans with huge egos. Puppies can get sick and die of parvo or distemper; a kitten can break with a feline leukemia virus that is deadly; an animal can slip out the door and be hit by a car; adopters can die, divorce, lose their homes, or misrepresent the type of owner they are. Animals can and will end back up at shelters; private shelters can lose their funding; rescuers can get in over their head. A lot can go wrong. RPM will NOT be held hostage by all the things that may go wrong or the possible monsters under the bed. We will not let the fear of what could go wrong stop us from saving these lives. You shouldn’t either. 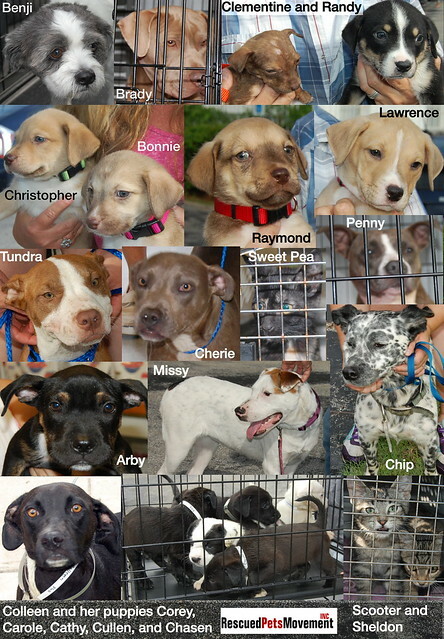 Here are the precious faces of those who traveled to Colorado last week thanks to your generosity and support. The dogs arrived safely and are now ready to begin their new lives. 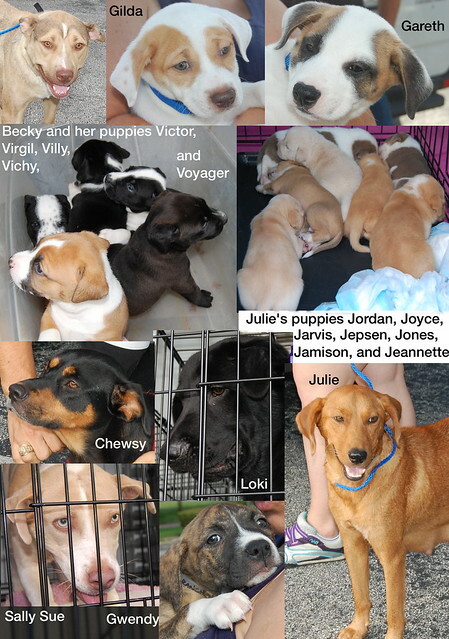 Thanks to our many fosters, caregivers, and volunteers, we’re looking forward to the next transport! Success Story Sunday: Scarlet (formerly known as Gayle). Hi, we recently adopted a dog that you transported to Colorado. You know her as Gayle. She is in a photo from March 27, 2014. We adopted her from a no kill shelter in Denver – The Maxfund. I want to tell you how happy we are with our new family member. She is very high energy and keeps us on our toes – especially our cat! She loves riding in the car and playing with Kong Air Balls and Kong rubber toys. She was also thrilled to discover that we have many squirrels and rabbits in the neighborhood to chase. In a few short days I have already increased my running speed in order to keep up with her! Our daughter loves to play fetch and other games with Scarlet in our backyard. 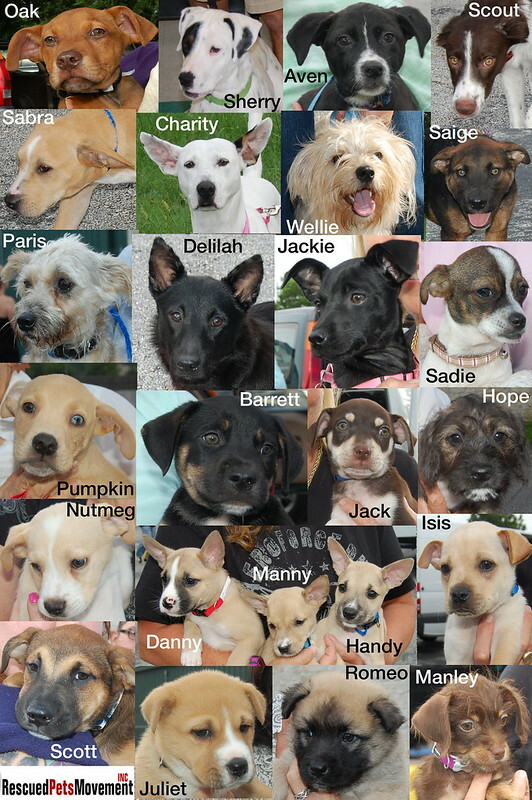 I love what you are doing to try to find homes for so many dogs. We are lucky because Scarlet really wants to please us. She hasn’t had an accident in the house at all which I was expecting. She is well behaved in her crate and sleeps all night without a sound. She is quite a chewer so my daughter is getting a good education on keeping things put away and her bedroom door closed. My daughter picked her out at the shelter because Scarlet loves to play as much as my daughter does. Scarlet has a lovely personality and is trying very hard to learn the house rules–don’t chase the cat and don’t chew on anything but dog toys. 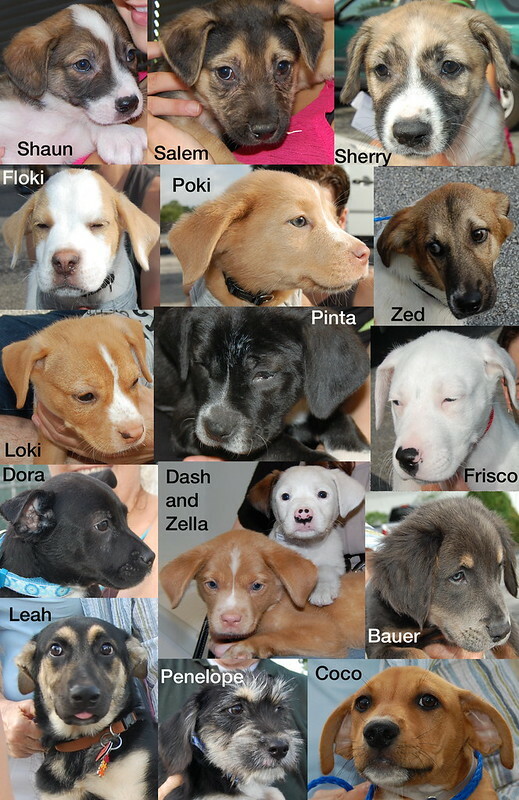 We didn’t forget last week’s puppies and kitties who traveled and know you’d like to see such a gorgeous group. 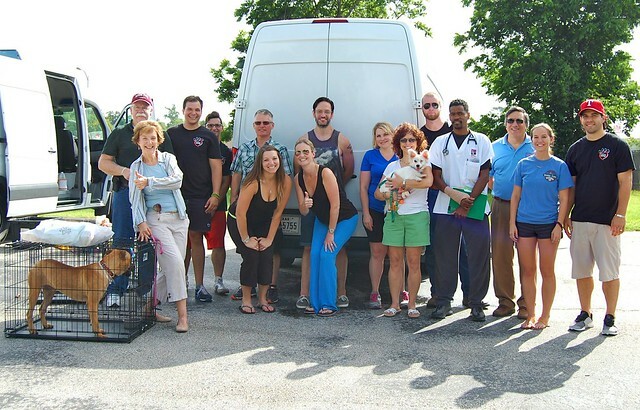 Thanks so much to the fosters, transporters, adopters, rescuers, and donors who came through for this group and for all the ones being taken in daily by BARC in record numbers. You’re lifesavers!